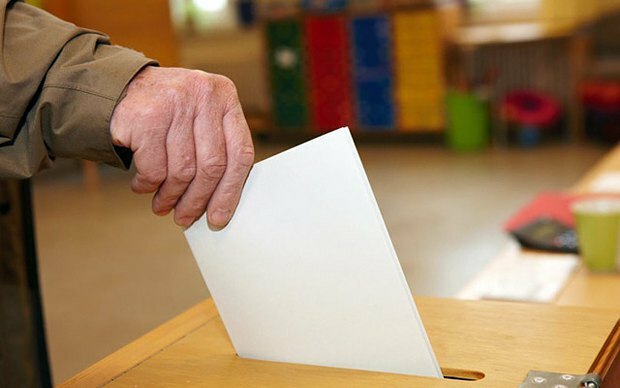 The presidential election in Moldova's breakaway Dniester region will be held in six months on 11 December. 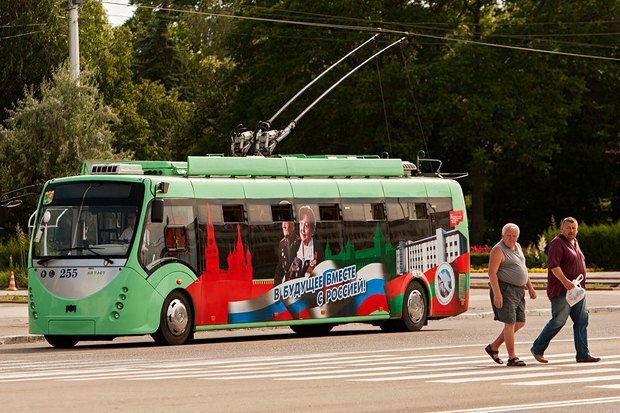 In fact, the election race is already under way, with key candidates already known, local groups of spindoctors working in the region and support groups arriving from Moscow. Ukrainian readers will find this article interesting as it clearly shows what model Russia has been trying to build in the occupied areas of Donetsk and Luhansk regions. Following the parliamentary election last year, president Yevgeniy Shevchuk is now facing organized opposition protected by parliament immunity. In the environment of permanent terror maintained by the local KGB against any dissenters and especially against Yevgeniy Shevchuk's opponents, immunity gives the only opportunity of election competition. There is a certain political component to what is going on around the Dniester region but it is insignificant and of secondary nature. The main competition happens among various business groups which are transnational: they operate in Moldova, Ukraine, Russia and the EU. The Dniester region for them is a criminal base on the Dniester River where it is convenient to hide an illegal part of their business. Let me make a point: there is no legal business in the Dniester region. Any business operating here is one way or another linked to criminal schemes. It does not make sense to do legal business in an unrecognized state. This would be simply unprofitable because of a variety of problems caused by the region's unrecognized status, especially when Moldova and Ukraine are close. It makes sense to suffer many problems to exports and imports as a result of the unrecognized status up to the complete lack of any legal protection only when you need to hide something unlawful in the illegitimate territory. These rings form two groups. Because of the built business connections, one of them supports the local holding Sheriff. The other one supports incumbent president Yevgeniy Shevchuk. Sherif is the supermonopoly in terms of the Dniester region, which took its shape under previous president Igor Smirnov but then fell out with him and turned into an independent player. However Sherif has not been lucky in politics. In the 2011 presidential election, it was defeated by energetic opportunist Shevchuk who, using Russian businesses' discontent with the Dniester region's total monopolization, secured the support of Alisher Usmanov, the owner of the Rybnitsa metal works back then. However after taking office, Shevchuk started his own game. 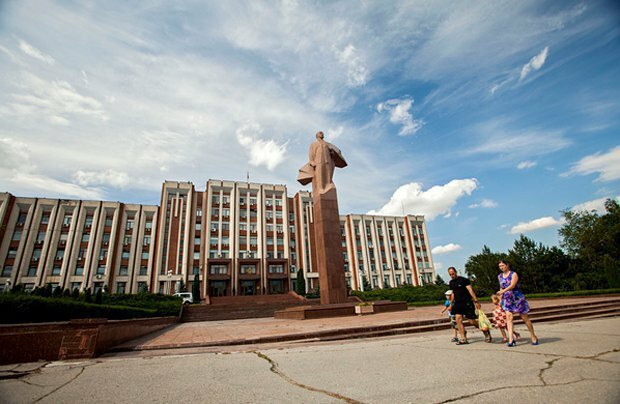 As for "citizens' opinions", public policy and civil activity in the way they exist in law-abiding states are absent as such in the Dniester region. Over the 25 years of its "independence", meaning the years of its isolation from the normal legal field and the world as such, dragging their living in the "besieged fortress", as local call it, there are no people left in the Dniester region who could get engaged in civil activism. Their physical destruction, intimidation and expulsion from the separatist enclave started literally from the very first days of its existence. The remaining inert and scared mass has for a quarter of a century been exposed to ideological treatment based on the fear of the outside world and hopes for the Russian patronage. Therefore the discussion of any "election" is very notional. There is a competition between two business teams protecting the area where they have been hiding their criminal tails and willing to have the broadest possible freedom of action in this territory. As far as foreign policy is concerned, both teams see eye to eye. Each wants to improve its standing in the current situation but none wants to change this situation. None of the real players – neither in the Dniester region or around it – is not interested in "settling the conflict" in any format, including the recognition of the Dniester region. Unrecognized de jure but recognized de facto, the Dniester region acts as a Laundromat for illegal and half-legal transactions through which criminal profits get legalized in a common scheme which also involves Moldova, Ukraine and Russia. Both teams are looking to Russia for support as it provides the Dniester region with the "cover of uniformed agencies" through the Russian occupying contingent which it calls "peacekeepers". Keeping them in the Dniester region is the most important condition to saving the Dniester region in its current setup. As of 11 July, the law introducing criminal responsibility for public criticism of peacekeepers came into force in the Dniester region. It is punishable with up to seven years in prison. It was adopted amid full consent between the Dniester president and parliament, a rare display of unity for the breakaway region. As for Dniester residents, they have three options: to leave the country, join a criminal structure on some level or vegetate in poverty. Because it is populous and claims social assistance, the last category is a burden for any authority. Any winning group will do its best to squeeze swarming freeloaders out of the region. Running "grey schemes" does not require more than 80,000-100,000 able-bodied residents with a minimal number of pensioners, which is a third of the current population and five times less than in voter rolls. 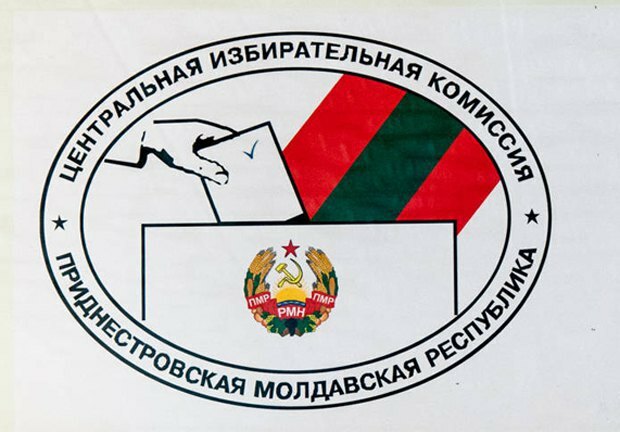 This difference between the voter rolls and the reality sparked a hot conflict between president Shevchuk and a group of Dniester MPs acting in the interests of Sherif. Shevchuk, whose approval rating has flopped over five years of his rule, insisted on keeping a 50-per-cent turnout threshold as he was expecting to make sure ballots are stuffed if conditions are favourable. If they are unfavourable, [he would] disrupt the election because a 50-per-cent turnout based on voter rolls is impossible in principle. The Dniester parliament demanded that the threshold be lowered to 25 per cent and made sure it happened. 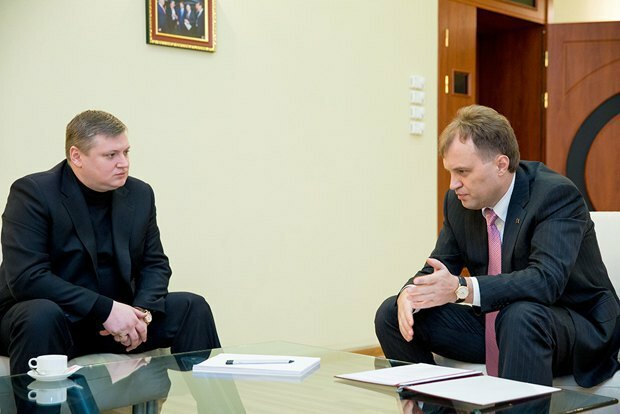 Using the chess terms, Shevchuk's group mostly relies on the queen, which is the president, and on the bishops from the Dniester KGB who terrorize anyone unhappy with Shevchuk. Shevchuk's team also includes the Party of Dniester Communists headed by Oleg Khorzhan whose task is to set ragtags against Sherif and put up opposition to Shevchuk's opponents in the Dniester parliament. Shevchuk's team controls all state-owned mass media: TV, radio and press. It also publishes tonnes of promotion newsletters distributed for free and places a large number of paid articles in Russian and Ukrainian papers. Sherif stays in the shadow and does not send its cheese pieces into fight. To attack the president, it uses the rostrum of the Dniester parliament and two "front-line" MPs Galina Antyufeyeva and Andrey Safonov. 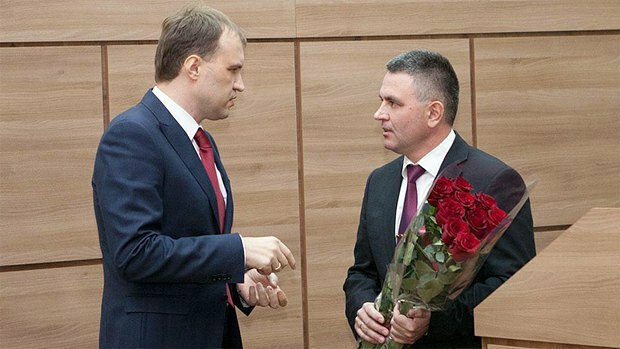 Their task is to make statements from the parliament rostrum which would compromise Shevchuk and his entourage. The Dniester KGB "checks" the statements and "finds no confirmation" but it certainly leaves a certain "election aftersmell" anyway. Using the parliament rostrum, these two persons initiate a public discussion of various controversial issues such as the exchange rate of the Dniester rouble, bank fraud, election threshold and so on. The second echelon is represented by mass media: Sherif's TSN TV is the holding's only unit directly involved in the fight and Nikolay Buchatskiy's newspaper Man and His Rights, whose circulation has recently been increased to 10,000-12,000. These media repeat what has already been said by the MPs under the cover of immunity. Both sides are engaged in an intensive war on social networks, including through the groups of network trolls: there are up to 50 propresidential profiles and half as many of those who support Sherif. The Dniester KGB is also very active in social media where it puts pressure on undesirable activists and takes over the administration of popular groups. 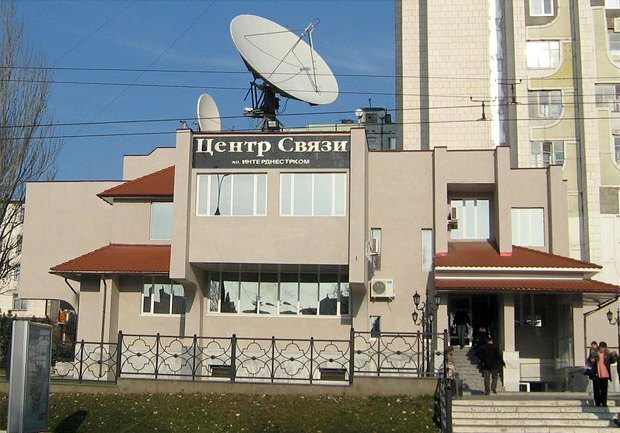 The only Dniester communications and Internet provider, Interdnestrcom, is outside the confrontation. It provides the Dniester KGB with any information on users and their addresses and blocks access to any groups and websites on its demand without a court warrant. Should they not be compliant, Shevchuk may have threatened the company to let other communications and Internet providers enter the Dniester market. Access to the websites disfavoured by Sherif also gets blocked. Thus the Dniester information space is under double censorship from Sherif and Shevchuk. Sherif's main candidate and former interior minister, Vadim Krasnoselskiy, an opponent to Shevchuk, stays in the shadow and is not dispatched to the front line in the information war. Sherif does not seem to have a reserve candidate. Shevchuk's reserve candidate is Oleg Khorzhan. Both will run in parallel but Khorzhan will keep second. However should it become clear that Shevchuk is slated to lose, Khorzhan's election campaign will be given a boost. In this case, Khorzhan's task will be to provide a cover for Yevgeniy Shevchuk and his wife and former foreign minister Nina Shtanski who will leave the Dniester region. In case of Shevchuk's defeat, his evacuation will be of interest to all parties, including Russia, Moldova, Ukraine and the EU. 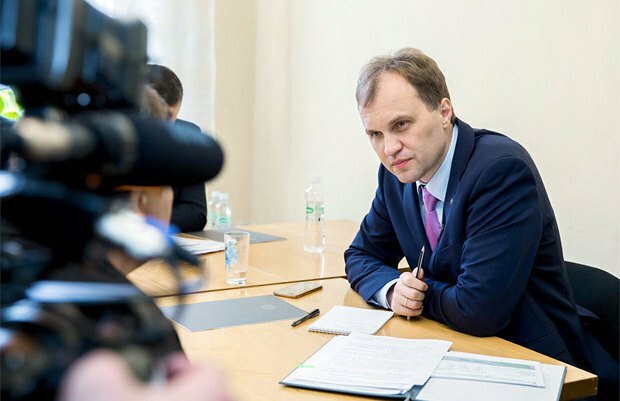 Shevchuk knows too many scandalous details on the involvement of officials from the listed countries in shadow business schemes. This scenario would serve the hardest blow against Dmitriy Rogozin who has already made arrangements to evacuate Shevchuk to Crimea. This is in case Shevchuk's departure to Germany where he has some real estate becomes impossible for some reason. Therefore the main fight will be held within the triangle of Vadim Krasnoselskiy versus the tandem of Yevgeniy Shevchuk and Oleg Khorzhan. Other candidates, including those self-nominated, and technical candidates "by sectors" will play secondary roles. The possible candidates of this sort include former interior minister Hennadiy Kuzmichev, ex-president Igor Smirnov and the rector of the Tiraspol division of the Odesa Law Academy and arbitration chairman, Vladimir Grigoryev. The general command of both campaigns is carried out by the teams of hired Russian spindoctors. Russia has no clear policy on the Dniester region, there is only a general vector of interests of the long list of offices and corrupt figures. The list includes above-mentioned Dmitriy Rogozin who recently visited Moldova and the Dniester region; the Russian Federal Security Service (FSB), the External Intelligence Service, the Defence Ministry, the Foreign Ministry, the United Energy Systems and Gazprom as offices in general and some functionaries in particular; parties and MPs of the Russian State Duma; various opportunists skimming the cream off one of the financial schemes. Their interests are shaped by a wide range of reasons 90 per cent of which have nothing to do with the Dniester region. 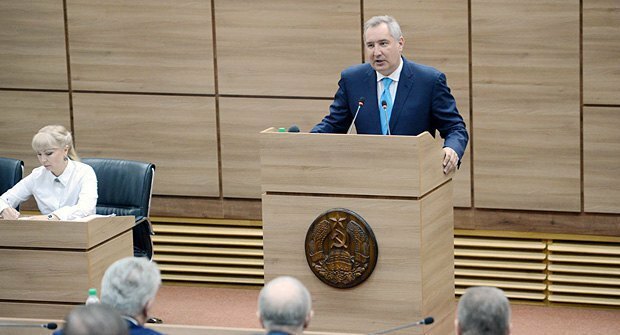 The Russian president's special envoy to the Dniester region, Dmitriy Rogozin, takes part in the Dniester parliament meeting during a visit to Tiraspol. Since the ratio of Russian players changes, the sum vector of their efforts is also unstable. Other players' position follows the same "sum of vectors" pattern. None of them, including Ukraine, has a consecutive strategy with regard to the Dniester issue. Speaking of permanent trends in Russia's position on the Dniester region, Russia would like to legalize it so that it rejoins Moldova and becomes the second pro-Russian anchor after Gagauzia, maintains its "special status" and continues to serve as a "financial Laundromat" where you can do what you are otherwise prohibited to do in Russia. 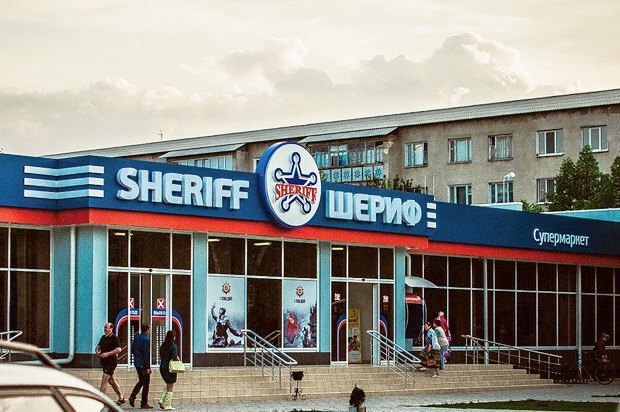 Both competing parties in Tiraspol – Yevgeniy Shevchuk's team and the team of the Sherif holding – for their part, are looking for Russian support by all means and on all levels where they can operate. Moscow has grown tired of unpopular Shevchuk and is inclined to hold the "rebranding" of the Dniester region to replace him with any other recognizable figure. This will not solve any strategic task but will let the region blow off some steam. However since Russia has no solid plans for the Dniester region, its support for a future candidate is personal and office-based. Once the election is over, all the interested parties will work with any winner. In principle, all business schemes can be redirected at cooperation with any team. As for the situation inside the Dniester region, "Russia" and "unity with Russia" have been deeply engraved in the minds of the Dniester people by propaganda. Both Shevchuk's and Sherif's teams largely build their propaganda strategies on the thesis "we are pro-Russian whereas they [the other team] are pro-Western and pro-Moldovan", "we stand for the independence of the Dniester region whereas they 'surrender' us to the West and Moldova". In the meantime, they actively work with all foreign players, including Russia, Moldova, the EU and Ukraine, have business connections even with Romania, the main scarecrow of all Dniester propagandists. As for the "good president" who would have suited the majority of true players in the enclave, he must play the role of a forman whose actions are predictable and according to the set rules and who avoids arbitrariness. Former president Igor Smirnov was like that. Shevchuk has built the stable reputation of an unpredictable rogue over five years.